Offering you a complete choice of products which include Exterior balcony PVC blinds, Sun control blind, Printed bamboo blind, Translucent blind, Honeycomb blind and Monsoon blind. 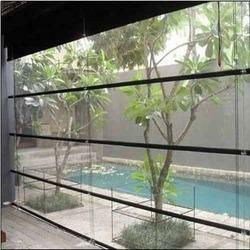 Our Monsoon Blind are specially designed to stand guard against heavy rains, winds and scorching summer heat. They are made from special scratch resistant PVC and Acrylic fabrics. Protects against rain to build a great ambience. Safe and easy lifting systems, manual and motorized. Get that soft sophisticated look and feel with Translucent Blinds. An innovative concept in blinds, they create a 3D vision. With the help of these blinds, you can cut out extra light during bright, sunny days and allow light during dull, gloomy days. They help in creating the right atmosphere for your office and home. 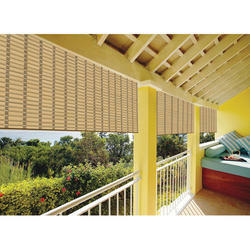 Our Exterior Balcony PVC Blinds are specially designed for complete privacy. They are available in a wide range of colours to give you an ample choice to choose from. Highly durable as they are made with age-resistant materials, these PVC blinds are highly suitable for balconies, open restaurants, sea-facing resorts, food courts and gardens. Honey Comb Blinds (also known as cellular blinds) ensure complete privacy as well as protection against heat and light radiation. Made from crease-resistant fabrics, they add a dash of colour and refinement to your windows while creating a vibrant, lively ambience inside the room. 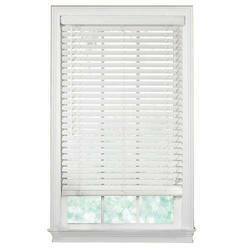 Our organization is the highly acclaimed provider of Polymer Wood Blind to our clients. 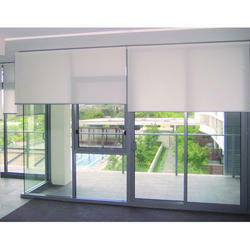 This blind has been manufactured by using wood of excellent quality. It is resistant to termites and other unsuitable factors. It is used for providing beauty to homes. 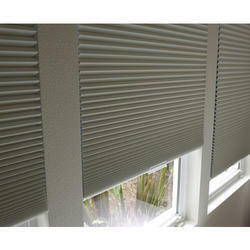 This blind is available in standard and customized options. This blend is light in its weight and is offered to our clients at leading market price. This is made of pure brass wood. It is resistant to moisture. The weight factor is crucial for smooth lifting. Low moisture prevents slats from wrapping. It takes much less stacking space and has better visibility. It has been designed with special fittings and has the central motor and tubular motor. Looking for Decorative Blind ?